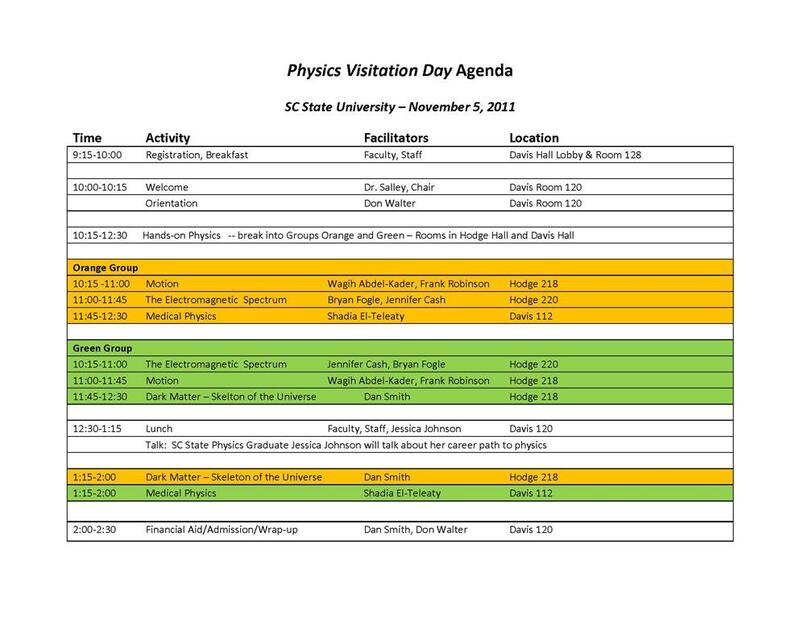 High school students (9-12th grade) their parents and teachers visited the labs and classrooms of the physics program at South Carolina State University. They participated in a number of interesting and enjoyable hands-on activities as described in the agenda. 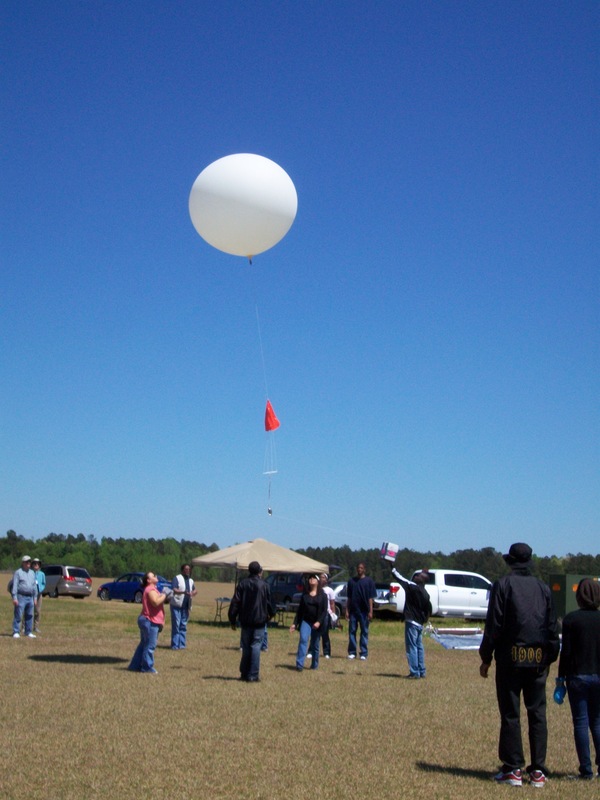 Topics covered included medical physics, motion, light, cosmology, ultraviolet radiation and ozone as well as a discussion on the SC State balloon research program. The midday speaker was Ms. Jessica Johnson, a 2010 graduate of the SC State Physics program and currently enrolled in the Masters of Transportation Program at SC State. Continental breakfast and lunch were provided to all and a $100 stipend went to each participating high school student. A total of 32 high school students attended as well as 20 parents and teachers and 12 SC State students, staff and faculty members. The high school students came from 9 different high schools across the state as listed below. 2011 Physics Programs at SCSU.